In the late Seventies, Belfast produced some of the best and most enduring punk records. Bandwise, Stiff Little Fingers and the Undertones were destined to have the biggest impact on the mainstream, but just as important were bands like Rudi and The Outcasts who, alongside the Undertones, got their first break on the legendary Good Vibrations label. Following fast on their heels were a band of school kids known as Protex, whose debut single ‘Don’t Ring Me Up’ appeared at the end of 1978 and is rightly considered to be one of the classics of that era. Following good reviews in the music press and radio play courtesy of John Peel and Kid Jensen, the single was reissued as a joint Rough Trade / Good Vibrations release making it much more easily available across the UK. As a result of its’ popularity, the band were approached by Polydor records who signed them to the label before the individual members had even left school ! They released another three great singles over the next 18 months, ‘I Can Only Dream’, ‘I Can’t Cope’ and ‘A Place In Your Heart’ as well as undertaking tours around the UK and playing in America, but although they recorded an album Polydor decided that they were no longer interested in the band and shelved it. (The tapes remained unreleased until American label Sing Sing released them as the ‘Strange Obsessions’ LP in 2010.) Finding themselves without a label, the band played a few final gigs in 1981 before splitting up. Although the original members didn’t remain involved in music during the following years, the reputation of the band continued to grow and the singles remained highly collectable (even resulting in bootleg compilations of the original releases.) 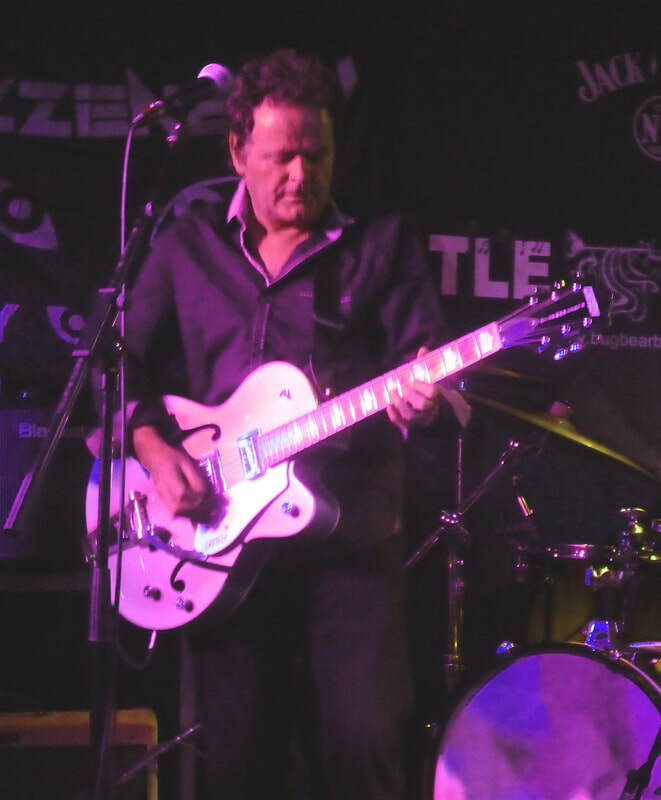 But it wasn’t until after the release of ‘Strange Obsessions’ that original guitarist David McMaster contacted vocalist Aidan Murtagh with a proposal to reform the band. Although hesitant at first, the new line-up came together with new members Norman Boyd and Gordie Walker, playing shows in Belfast and at Rebellion before receiving offers to tour in both Spain and Japan. Despite being the initial catalyst for the reformation, David McMaster decided after several years and further tours not to continue playing in the band. Fortunately, despite being the only remaining original member, Aidan made the decision to continue and also began to write material for a new album which would eventually be released as the ‘Tightrope’ LP on Bachelor records in early 2017. The set of ten new songs was certainly no disappointment to older fans of the band and, indeed, it also seems that it has also reached out to younger audiences at the same time. Having been in touch with Aidan since the album was released, it was not until the end of 2017 that the band finally made it back to London and I was able to arrange an interview. They were playing at The Finsbury in Manor House, a venue I hadn’t visited before, but it’s a nice place and, arriving early, I meet-up with Aidan and we do the interview in two parts, either side of his soundchecking duties. What was your first introduction to Punk ? How did Protex actually come together ? The first recordings that the band ever made were actually a session for the Downtown radio station in Belfast, soon after you’d started playing live in 1978. How did that happen so soon after you’d formed ? So Terri Hooley came across Protex by chance, rather than by you having sent him demo tapes or anything ? You were all actually still at school at the time, weren’t you ? How well did you get along with the other Belfast punk bands during that time ? You ended-up signing to Polydor pretty soon after Good Vibrations had released your first single. Do you think now that you were pretty naïve about what you were getting involved in with such a big label ? Do you think that Polydor lived up to your expectations in the way they supported and promoted the band ? ‘Yeah, which was our first really long tour. It was a good experience because it was the first time we were playing on big stages and, of course, they were at the peak of their popularity as they’d only recently been at Number One with ‘I Don’t Like Mondays’. It gave us a chance to see the business side of things, which was a real eye-opener and let us suss things out for ourselves. Did you go abroad with them as well ? What happened with the album you were recording for Polydor ? Obviously, the recordings eventually surfaced on the ‘Strange Obsessions’ album released by Sing Sing Records in 2010, but why was it not released back at the time ? The album that you originally recorded for Polydor, ‘Strange Obsessions’, was eventually released by the American label Sing Sing Records in 2010, but was only made available in limited amounts and has since become very difficult to find. How did that all come about ? Obviously, the release of the ‘Good Vibrations’ film in 2013 rekindled interest in the original Belfast Punk scene, but what was your opinion of the film itself ? You were saying that, after Protex originally broke-up, you weren’t really interested in playing music for a very long time. But during those years, the interest in Protex never died away and there’s always been a considerable amount of collectability in your original records. Did it surprise you when you found out that there were still a lot of fans out there ? As this was the first time that you’d written new Protex songs for some thirty years, how long did it take for you to put the new material together ? Did you find it difficult to start writing songs in the ‘Protex’ style again ? As you were originally unhappy with the way the ‘Strange Obsessions’ album came-out, have you been happier with the results on ‘Tightrope’ ? This gig is just a one-off in London, but what other plans do you have at the moment ? The venue is starting to get busy by this point and the gig is already underway so we end the interview here and go off to find our different friends. I end up missing the first band altogether as a result, but I do catch some of the set from the main support, a Spanish band called Biznaga. They start-off pretty well, playing a frantic style of garage punk but after a while it starts to get a bit too repetitive and I start to lose interest. Perhaps if I could have understood the lyrics it would have made a difference to the proceedings, but as it was, I didn’t think they were bad and they certainly had a lot of energy, but not enough catchy tunes to keep me on the spot. 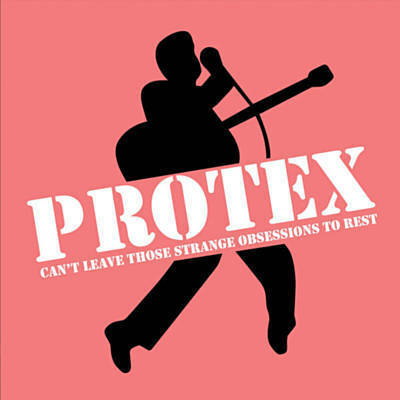 Protex, however, are totally enjoyable from start to finish. The new songs sound even better played live than they do on the album, with a bigger guitar sound to really put them across. Similarly, the tracks from ‘Strange Obsessions’ prove themselves with no difficulties and it’s several songs into the set before they play one of the tracks from their better-known singles, ‘I Can’t Cope’. It gets a big cheer, of course, but by this point so are all of the songs. ‘Tightrope’ goes down just as well as ‘A Place In Your Heart’ while ‘Shining Star’ is as equally well-received as ‘Heartache’. ‘Strange Obsessions’ and ‘I Can Only Dream’ bring the set to a fitting end, before an encore takes things even further, featuring ‘Don’t Ring Me Up’, covers of ‘Jeepster’ and ‘Let’s Dance’, and finally closing with an exceptional version of ‘Listening In’. As it turns out, the gig had over-run and I ended up having to catch a night-bus home from Brixton, but in the circumstances, I don’t think that was such a bad deal. As Aidan commented during the interview, it seems that Protex haven’t received as much interest around the UK since their reformation as other bands from the same era, but surely this needs to be rectified soon ? They’ve released a fine new album and are now playing excellent gigs. See them as soon as you can – you’ll appreciate it !